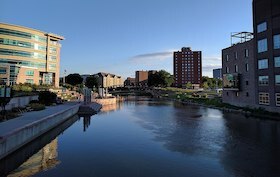 Home to a large number of public and private universities, Sioux Falls, as the largest city of South Dakota, has many of the cultural offerings of a college town. The University of Sioux Falls, Augustana College, and the South Dakota School for the Deaf are among many institutions of higher learning located in this vibrant community. Sioux Falls is located on the southeastern border. The city has experienced rapid population growth due to the presence of many colleges and financial institutions. The city has many lovely parks including Falls Park on the city's namesake waterfalls on the Big Sioux River, near the downtown. Median selling price of a home in Sioux Falls was $209,900 in the third quarter of 2018, according to the NAR. Typical real estate taxes are about $2000/year. The city is a frequently named on various best places to live and retire lists. Sioux Falls run through town. The absence of a corporate income tax has led to a diversified economy with many big corporations. Sioux Falls maintains a network of more than 70 parks and greenways that are spread throughout the city. Probably the best known of these is Falls Park around the waterfalls on the Big Sioux River, just north of downtown. A number of colleges are here. The park system features a paved 16 mile path plus branches for biking, walking, and jogging. Relatively low cost of living. Far from a coast and far from a very large city. Winters are cold and long. The city is located on the banks of the Big Sioux River on the prairie of the Great Plains at the junction of Interstate 90 and Interstate 29 in southeastern South Dakota. 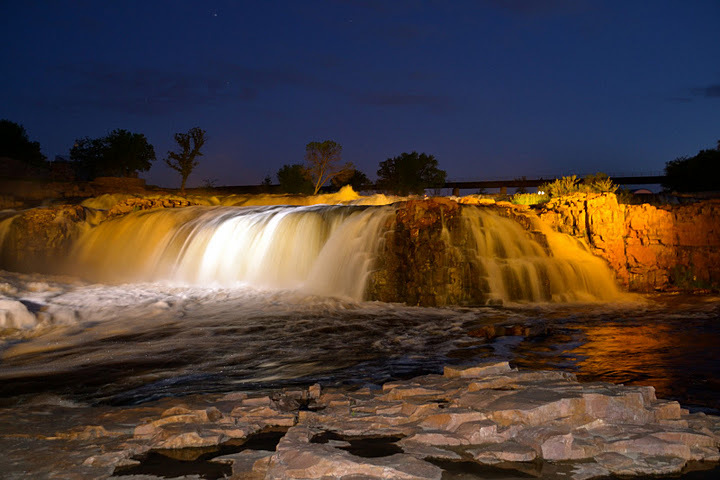 The beautiful Sioux Falls runs right through the city. The average January temp is in the teens and the average July temp is in the low 70s. Winter months typically produce about 7" of snow and there is plenty of sunshine in summer. There are many festivals throughout the year including the Sioux Falls Jazz and Blues Festival, a three-day outdoor musical event featuring two stages and is free to the public. The event is held the third weekend in July at Yankton Trail Park in Sioux Falls. Local colleges provide cultural opportunities as well. Many cultural events occur at the Washington Pavilion of Arts and Science. Downtown Sioux Falls plays host to the popular SculptureWalk every summer. The crime rate in Sioux Falls is very near the national average, although violent crimes are rare. Sioux Falls is the regional medical center for this part of the country. It has many different hospitals and medical facilities including those at the Sanford Univerity of South Dakota Medical School. Sioux Falls has a regional airport, the Joe Foss Field Airport. The city is very bike friendly. The park system features a paved 16 mile path for biking, walking, and jogging. Recently, the city has made efforts to beautify a stretch of the bike trails through downtown along an area known as the River Greenway.